Have a question for Sawasdee Khaosan Inn Hotel? "The location is brill close to the nightlife the buffet breakfast is good,10 min walk to grand place"
"Location of the hotel is really great, close to Kaoshan road and other attractions." "I was happy with the stay." 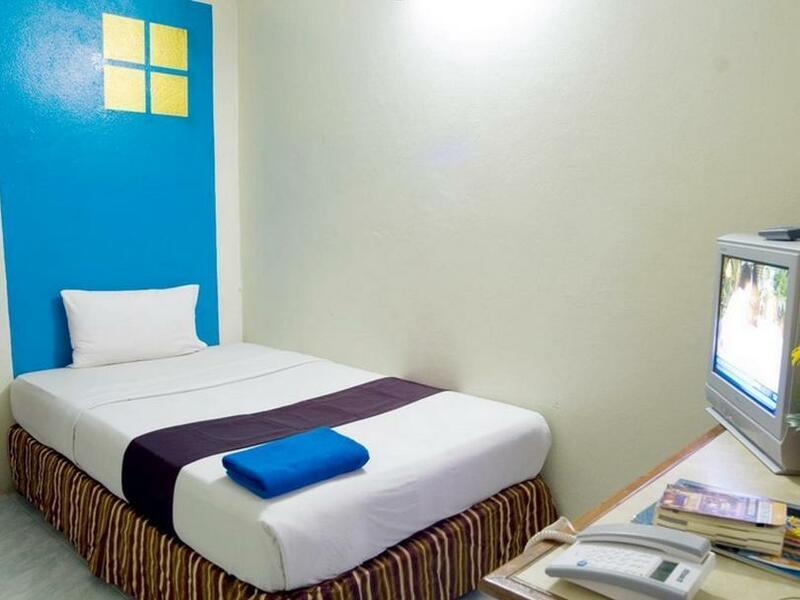 Sawasdee Khaosan Inn Hotel is located within walking distance of Bangkok’s famous Khaosan Road, where travelers have been going for more than 20 years for cheap digs, interesting food, and vibrant nightlife. 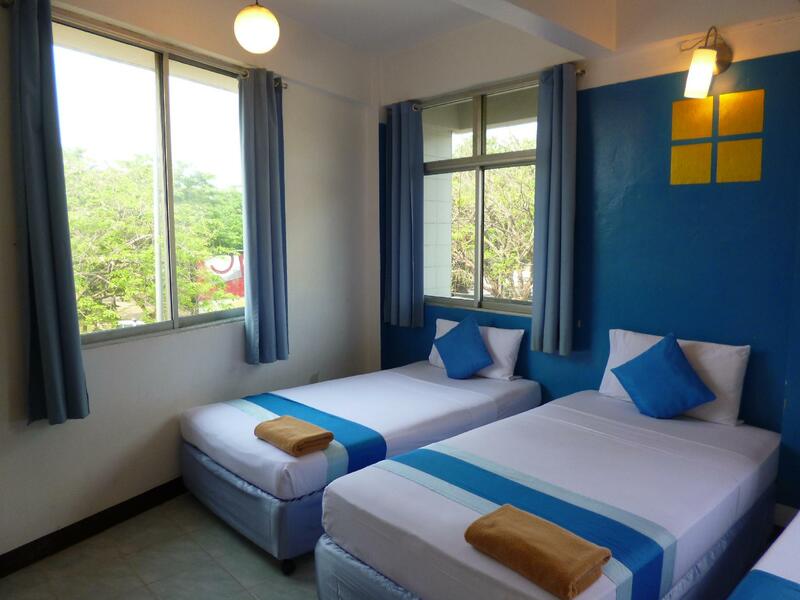 The hotel is a prime choice for budget travelers in Thailand with a range of air conditioned rooms to match your needs. Hang out in the lobby or grab yourself something to eat. From this area, Bangkok is easily accessible by bus, taxi, or tuk-tuk. Siam Square is only about half an hour away, and Sukhumvit can be reached in about the same time. To continue with your reservation at Sawasdee Khaosan Inn Hotel, please enter your arrival and departure date into our secure online form. We stayed there for 7 days. Simple breakfast but excellent considering it is a budget hotel. Any special request from the staffs, to be sure to remind them again. Housekeeping works on their mood, if you want your room to be clean, leave the 'Clean Room' sign outside your door. And the sign says it all, it cleans the room, Only the room. They will change your towel and shampoo/body liquid when they feel like it. But having new sheets are always nice. they use good sheets. Room can be a little noisy in the evenings with disco pumping till 4am. though the noise is acceptable, not too noisy for me. Levels above are not too sound proof, humming sound was heard especially if someone took a pill and it goes on and on and on. All you have to do is beat that. :). 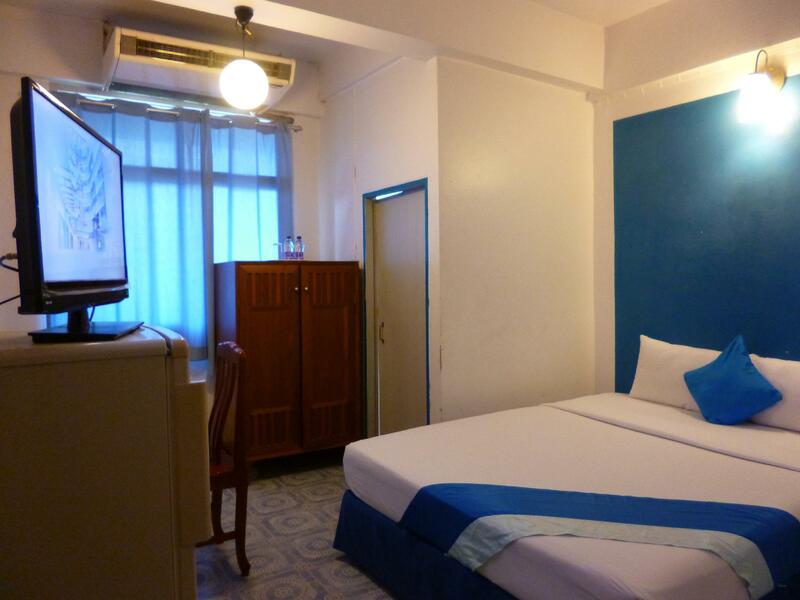 other than that, its a perfect place to stay as KhoaSan Road is 2 minutes walking distance. Had a reservation for Sawasdee Khaosan Inn but was transferred to the Sawasdee Banglumpoo Inn ....... same chain but not where I wanted to be. Buffet breakfast makes up for an apathetic staff always on their phones....... I give it a solid 5 ....... acceptable but nothing to write home about or stay there again. I arrived at the hotel late at night, checking in was as quick as a hiccup. Kindly note that there's no elevator, you have to carry your luggage all the way to the upper floor. Rooms are clean but there are tiny bugs once you turn off the light. The hotel is in a great location and breakfast was not bad at all. I guess they have trouble in Wc in lobby cause I can't bear of the smell around there. First of all, a room looks clean but at night, there are some tiny bugs on bed that scare me out. No elevator so you have to carry your heavy luggage upstair or leave it at a storage room in lobby. The staff let me leave my luggage there for free. Breakfast is good. Next time I'm staying here, so different from Sawasdee Welcome Inn, only 100 baht more you get so much more! Great TV, fridge, water, buffet breakfast, good internet etc. This is my home when I come to Bangkok from Pattaya. I booked this location for a short evening stay before a late night flight. The location was excellent, right next to Khao San road. The price was fantastic, due to a sale on Agoda. It was a good place to store our stuff and look around for a few hours, but I'm not sure I would actually want to sleep here. The room was very dirty, with spots on the walls, mildew in the shower and dust on the furniture. Just a little basic cleaning, however, would really improve this hotel, as it is a good place for tourists to see the sights, and a great value for the money. No Elevator or porter to help with bags up the narrow stairwell. The only window looked on the corridor which is ridiculous to advertise a room with a window and charge extra. We're backpackers so we didn't mind too much. Decent enough shower compared to other in Thailand. Cold AC. Can't remember the WIFI strength. It's right next to Khaosan Road but not so close as it could keep you from sleeping when you needed to. Great value for money. Would probably stay again. It's my 3rd time in here and almost nothing change. Still cheap price, offered with air-con, hot water, breakfast. The room is clean despite it is old building. The bed is big and no problem The problem is on this stay I got the room with chill-cold air-con. tried to lower it but no effect. beside that, everything is ok.
i stayed 8 nights..ccomfortable room comes with air cond n hot shower..attached bathroom. eventhough the hotel looks a little worn down but all the requireent is there including free wifi n breakfast. breakfast almost the same everyday . Its around $20 per night for a single, private room. It was pretty much what I was expecting. However, I noticed what seemed to be mold growth on the ceiling and parts of the walls. Also, when I would wake up, I found myself congested and sneezing. I'm sure this was an allergic reaction to the mold or perhaps the air conditioner was dirty. I'd rather spend 4x the money and stay at a much more upscale modern hotel. You get what you pay for. It was quite enjoyable and this is one hotel I would definitely recommend (btw I also was referred) Travelling being my passion (thus far only managed 4 countries and about 12 destinations outside India) I have found the check in formality quite exhausting, more so as you have already waited, from the time you leave your home. First for your better half to double check. Then for the cab to arrive, them getting past the countless red signals, then wait in the queue to check in, security check in, then wait for boarding, then wait for takeoff and landing, then for the baggage to magically arrive on the belt (if delayed praying the Travel Insurance is going cover this) then waiting for the taxi to take you to your destination and making you feel like he has performed a critical surgery and saved a hopeless patient. You are still not expecting the wait to end as you have already lowered your expectations. That’s when a good friendly and efficient front desk at a hotel looks like angels. How difficult is it? They already know you’re expected, you have a copy of the booking, in my case I even had copies of the passport (which they did not take) in less than two minutes I had my room keys. I was carrying huge but empty suitcases so the narrow staircase to the 2nd floor was no problem. The room was not aired in a while, even though it had sliding windows. The toilet had no towels, which was quickly replaced. The air conditioner needed some getting used to. As it needed to be switched on and off before the compressor started to cool the room. The room was on the smaller side, but who goes to Bangkok to be locked up in a hotel. The staffs at the front desk were really knowledgeable and were quick to make recommendations, even though the amount of research I had done about Thailand, my wife sometimes felt I might have been here before. I think for the location, staff and value for money this hotel is a Traveler’s Dream. Our stay at Sawasdee was nice. We were with 18 other friends. However, there are few complaints: the Hotel don't have an elevator and we were given rooms on 4th. floor which was terrible, the Staff are rude and not friendly at all. Despite the complaints, we were able to manage our happy time staying here for 4 days. I booked a 'superior queen bed room' It was an inside room,so no window. Right next to house keeping station so woken in the morning by staff shouting. Bed was clean and comfy. Shower adequate,but dim light in bathroom. TV was pointless,very few channels with only one in English. This hotel has gone downhill in quality while prices have gone up. You can get better value in this area. Wifi was free,and worked ok.
Our stay in this hotel was good as we've been coming here a few times already. It has easy access to public transport. 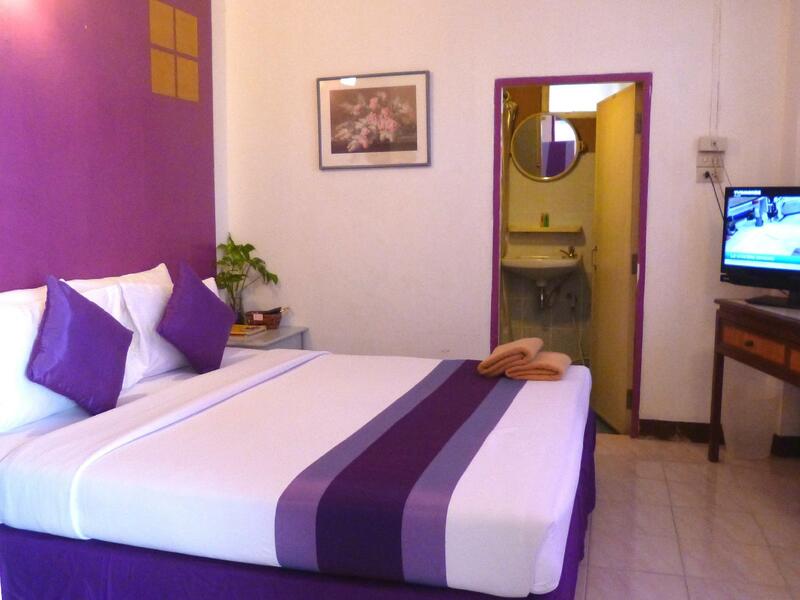 Attractions are just nearby asuch as Grand Palace, Dusit Xoo and Wat Arun. However at night time, it is quite noisy as Khaosan transform itself at night. All in all it was good. Initially a bit dismayed when given a 3rd floor room (no lift), but was offered a change next day. Breakfast is now buffet, but mostly asian. Clean room, WiFi available, although not free. Stayed there before, probably stay there again.